Here’s how these district leaders have addressed the issue of digital inequity. By using a creative assessment process, we can better measure mastery for students with a variety of skill levels. Learn how Google Slides can become a versatile tool for collabordependence. 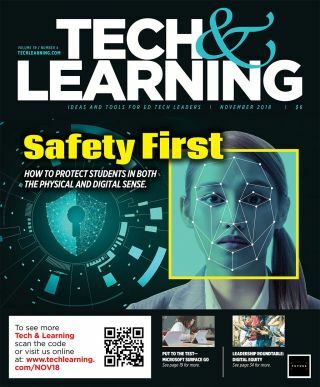 Whether virtual or physical, the safety of students is every educator’s first priority. Here’s how schools can protect them. Here are some of the many options available for educators to bring Hour of Code activities into their classrooms this December. Here’s a countdown of today’s top edtech trends.